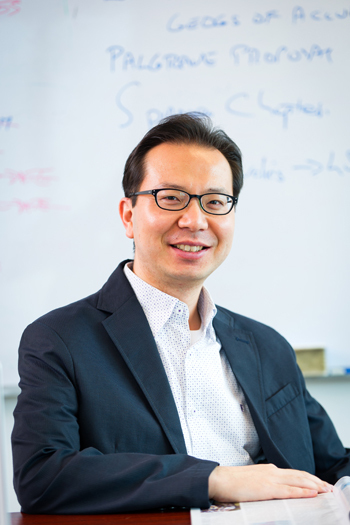 Sungmoon Kim is professor of political theory and director of the Center for East Asian and Comparative Philosophy at City University of Hong Kong. He received a Ph.D. in political science from the University of Maryland at College Park and taught previously at the University of Richmond. His research interests include comparative political theory, democratic and constitutional theory, and history of East Asian political thought and his essays have appeared in the journals such as American Political Science Review, British Journal of Political Science, Constellations, Contemporary Political Theory, Critical Review of International Social and Political Philosophy, History of Political Thought, Journal of the History of Ideas, Journal of Politics, Philosophy East and West, Philosophy & Social Criticism, and The Review of Politics among others. Kim is the author of three books -- Confucian Democracy in East Asia: Theory and Practice (Cambridge University Press, 2014), Public Reason Confucianism: Democratic Perfectionism and Constitutionalism in East Asia (Cambridge University Press, 2016), and Democracy after Virtue: Toward Pragmatic Confucian Democracy (Oxford University Press, 2018) -- and he is currently working on a new book project called Theorizing Confucian Virtue Politics: The Political Philosophy of Mencius and Xunzi, which is under contract with Cambridge University Press. In 2016-2017, Kim was a Berggruen Fellow at Harvard University’s Edmond J. Safra Center for Ethics.